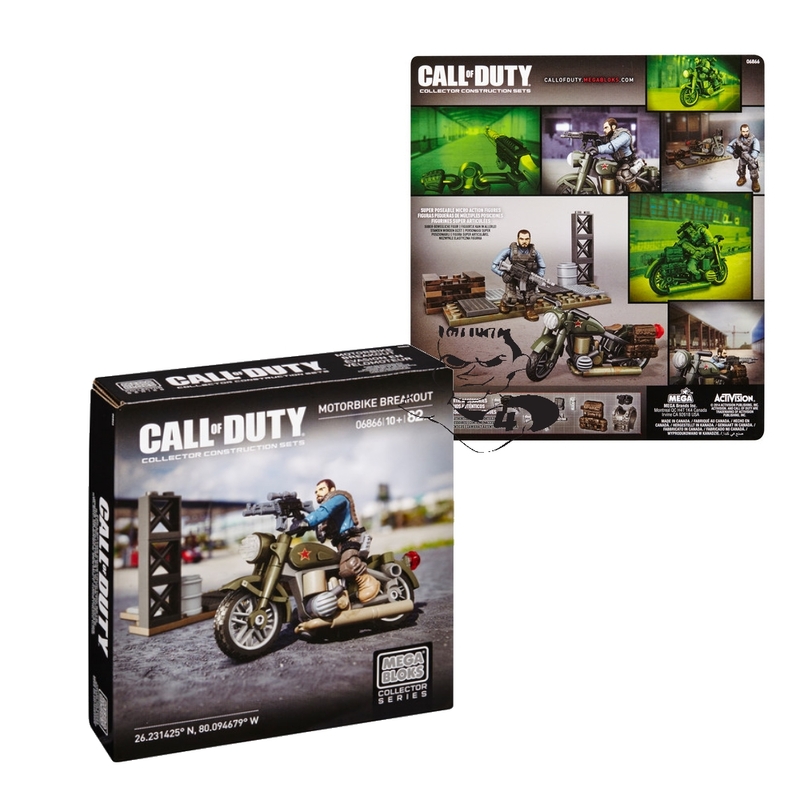 Product Detail Summary: Build the Call of Duty Motorbike Breakout Collector Construction Set by Mega Bloks. Captain Alex Mason micro action figure is ready for escape with a highly detailed, mountable motorbike that features spinning tires, realistic features, kickstand and emblem. Buildable base replicates a warehouse floor holding cell, complete with a barrel, support beam and assorted realistic elements. For ages 10 and up. Includes an ammo pouch and weapons like stun grenade, removable combat vest and an assault rifle.